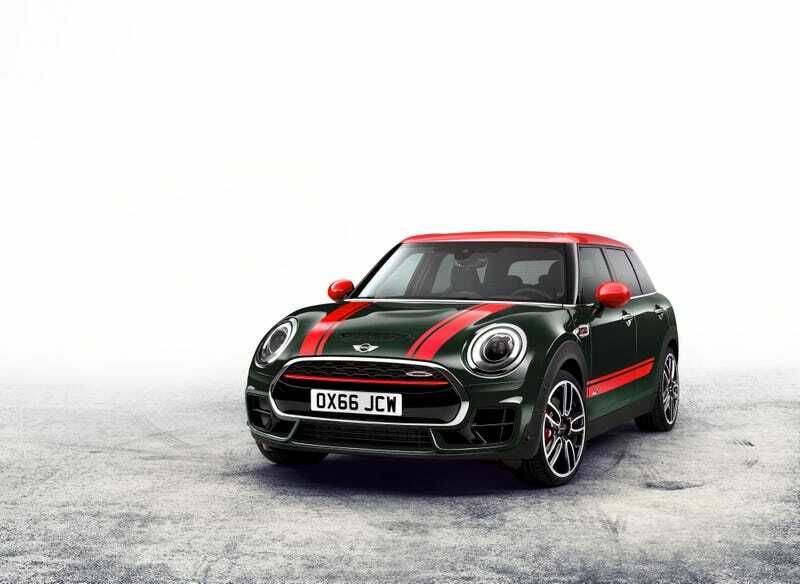 MINI just announced the JCW Clubman so you can now buy an AWD 6 speed wagon with a 6 second 0-60 time. And you can get it in burgundy which basically brown but better. Strangely this JCW has 20 lb-ft more torque than the rest of the range but no change in horsepower, so I’m guessing this car is under-rated, and a tune will likely put you in the 5.5 range for a 60 pull which is nuts.